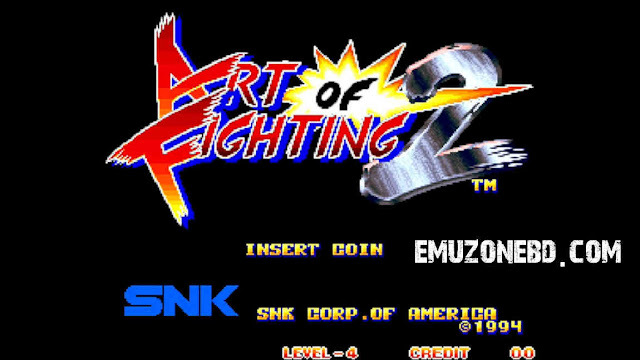 Art of Fighting 2 is a neo geo rom action fighting game which can be played through MAME emulator in Android and PC and I am giving you active download link free. 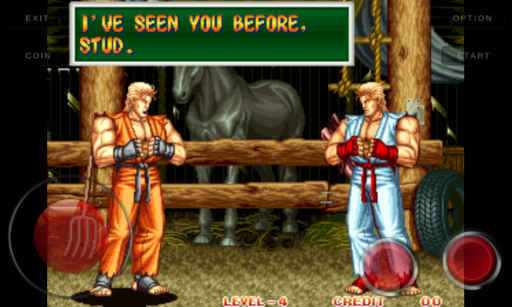 There are ton's of Action Fighting game and this is one of the best game of this series among them. Here you will get the most popular heroes from the previous version in this game. You can play this game multiplayer with your friend through GamePad. It will be enjoyable to play the game and defeat your friend if you have learned all the movement of the player. The idea of this game has come from The King Of Fighter game which is the best Neo Geo game till now. 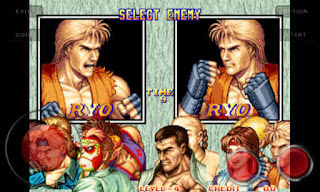 And some character has come from this fighting game. Then Setup Control to use the movement and superpower. Click on Import and locate where the file is, if you have perfectly kept the file then it will be shown as a white-gray color. Now click on the game and Launch Art of Fighting 2 in your Computer and enjoy. Then download Art of Fighting 2 ROM aof2.zip 12MB Note: If you have downloaded it for Computer you don't have to download it again. 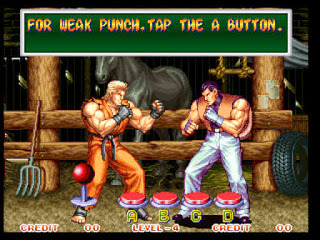 Then open Mame4all, select Art of Fighting 2 and press A button to Launch. 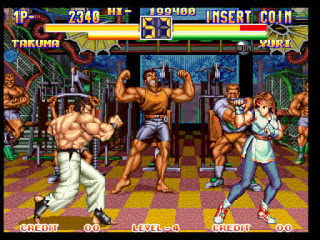 Also, download the bios file of this game neogeo.zip 132 Note: This is not the same bios which i shared on instruction 1. In this game, you are able to use the cheat. To enter the cheat menu you have to press Select and Start at the same time, If you are unable to enter the cheat menu the continually press Select and Start with your finger. If you have entered the cheat menu you will see four option. We have only entered The Cheat Database, Use A for OK / Enter the cheat Database, Use A to mark the Cheat ( If you mark any cheat it will show as a cross ). You will get the following things to play the mod. You can use the B button to reset the cheat, After selecting the cheat Press C for Exit the cheat Database, Now Enjoy Art of Fighting 2 in your Android with the cheat without apk file. 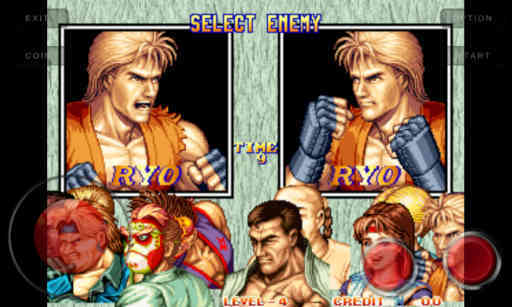 You can also Play Double Dragon neo geo game with boos unlocked mode.